March marked the beginning of Women’s History Month. This year’s theme is “Honoring Trailblazing Women in Labor and Business.” Hey, I’m a woman and I’m in business! Since I’ve started this business thing I’ve met some amazing women that have taught me a lot about business and helped me learn a lot about myself. And so I pivot to cookies -- but not MY cookies: Girl Scout Cookies! Who does not love a Girl Scout Cookie? I was a Brownie. No, not like Franjean and Roll, Brownies from the 1988 movie “Willow.” The kind of Brownie that sold Girl Scout Cookies. One year I must have sold a lot of cookies -- and selling cookies meant going door-to-door in my neighborhood to get orders. If the back seat of my grandfather’s car, stacked high with boxes of cookies, was any indication, I hit up lots of neighborhoods. Yes, those were different times, when parents felt safe letting their children walk around knocking on strangers doors trying to sell whatever fundraising project was at hand. What a supporter my grandfather was to help me deliver all those cookies. Little did I know, one day, I would be selling cookies once again! 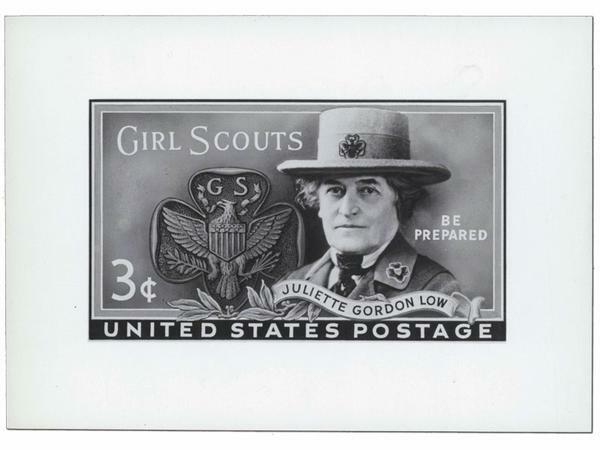 Juliette “Daisy” Gordon Low is a perfect woman to recognize this month as the founder of Girls Scouts of the USA. Wikipedia reports that in 1911 she returned to Savannah, Georgia, after meeting Robert Baden-Powell, the founder of Scouting, telephoned a distant cousin, saying, "I've got something for the girls of Savannah, and all of America, and all the world, and we're going to start it tonight!" I have business friends that have had “ahas” like this...although I’m sure wine was involved. Back to Ms. Low. She created an organization to empower girls and build courage, confidence, and character. I’m sure more than one businesswoman started her entrepreneurship selling cookies. I sold enough cookies that year as a Brownie to win one of the prizes our troop leaders had for the top sellers. I don’t remember if I was 1st, 2nd, or 3rd, but I DO remember my prize was a Barbie that stood on an aqua platform with a microphone. Her outfit was swirly browns and purples and I’m fairly sure there was some fringe in there somewhere. Barbie...now there’s another “woman” in history. Yes, I ordered cookies today from my friend’s daughter. They stopped by to pick up a pie on their way to her Girl Scout meeting. I did tell her the only way people would buy something was to ask them (I’m making my business coaches proud). She asked and I ordered two Do-si-dos, one Tagalong, one Thin Mint and one Somoa. Now I must wait for the annual cookie binge. PS Remember Easter, Mother's Day, Father's Day and graduations will soon be upon us. Let us help you celebrate with a gift made with love.